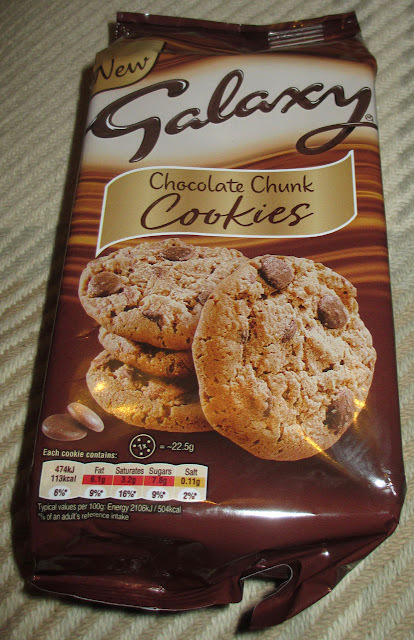 Well I love cookies and I love Galaxy chocolate so I was pretty confident nothing could go wrong with this new biscuit combination. These are Galaxy Chocolate Chunk Cookies, what more could you ask for in principle. 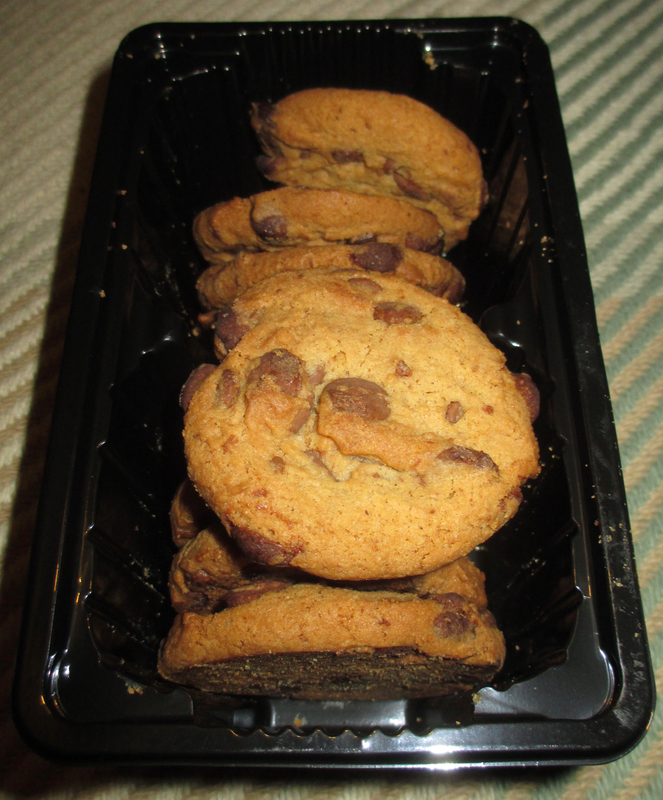 I opened up the bag and found eight thick cookies in the box, all dotted with an acceptable amount of Galaxy chocolate drops. So I bit in, or to be more honest I tried. This is one tough cookie. I don’t mean that in a metaphorical way, I mean it completely literally! My first bite failed and I ended up removing the biscuit from my attempted grip with my teeth and staring at it. Seriously. I tried again this time knowing to apply more pressure and did manage to get into the thing. Yes the flavour was sweet and pleasing, and had a good biscuity base flavour. Yes the addition of the Galaxy chocolate was nice, rich and smooth and the taste worked well. But no, I could not get passed the overly hard texture. I found them too tough, and not fun to eat. I put the kettle on and made my self a coffee so I could relax and dunk the rest and this made them easier to munch on, but diluted the chocolate flavour from the Galaxy which is the whole point. I have had biscotti that are softer. I usually like texture in my foods, but can’t help thinking a cookie should be a bit lighter to than this. Yes! These are so hard. I bought the m&m ones thinking they'd be the soft sort but nearly broke my teeth on them!